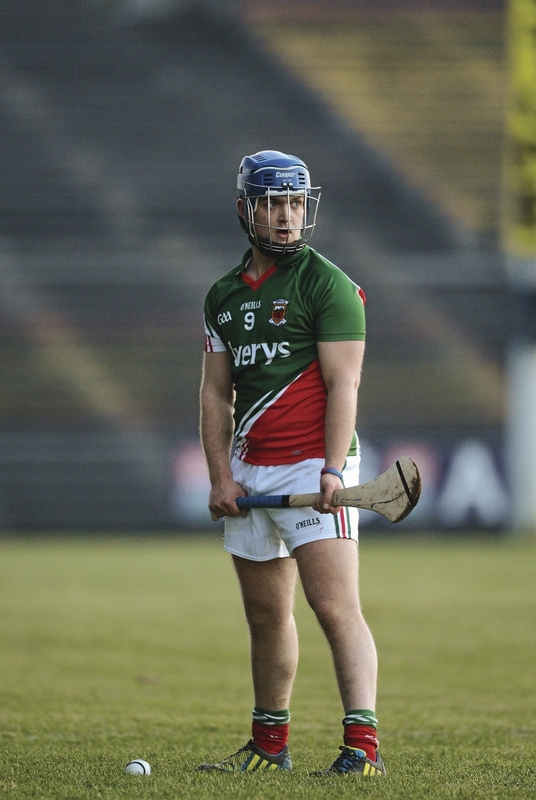 Sharp shooter: Mayo will need Kenny Feeney to be in top scoring form on Sunday. Photo: Sportsfile. The Mayo senior hurlers slumped to their third straight defeat last Saturday, when Kildare put them to the sword in Newbridge. That defeat along with the two before at the hands of Meath and Down now have Mayo sitting second from bottom of the league table on two points, with just the winless Donegal below them. A win is a must for Mayo on Sunday if they are to avoid a relegation play-off to stay in division 2B next season. The bottom two sides in the division, currently Mayo and Donegal, would meet in a play-off if the standings stay the same and the loser of that game would play the winner of division 3A in another game to decide who is in division 2B next year. Mayo face Armagh on Sunday in Elverys MacHale Park and a win would see them pull level with the Orchard County on points in the table. Last weekend JP Coen’s men were beaten by 12 points by a rampant Kildare side that maintained their 100 per cent record in the league this season. Armagh picked up their second win in the league last weekend when they turned over Meath in Trim in a tight battle that they edged by two points on a scoreline of 1-17 to 1-15. With Meath facing a Down side who have three wins under their belts already this season a win for Mayo on Sunday and for the Mourne County could see Mayo, Meath, and Armagh each end up on four points at the end of the league standings. Coen will be hoping that his charges can hold up their end of the bargain on Sunday, last weekend they found themselves 2-4 to 0-1 down before the game had even reached the 15 minute mark, and it was matter of damage limitation from then on against last year’s Christy Ring Cup winners. Mayo did manage to score half-a-dozen points before the half-time whistle, but Kildare had pushed their tally out to 2-11 in the same time. Mayo did battle hard in the second half with Kenny Feeney in particular putting in a very good showing and finishing the game off with 1-9 of Mayo’s 1-14 total, but Coen will need a lot more than Feeney to step up on Sunday against Armagh. Brian Hunt, Stephen Hoban, and Shane Boland will be looked to get the scoreboard moving, while Aidan Connolly, Adrian Brennan, and Padraig O’Flynn will have to be on top of their game in defence to shut down the Armagh attack. The game throws in at 2pm on Sunday and the Mayo hurlers could do with the backing of all Mayo GAA followers for this one.